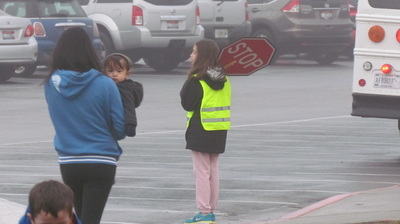 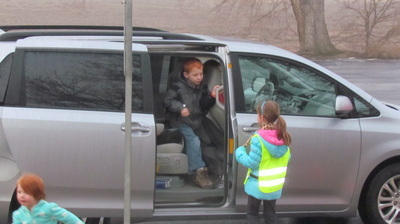 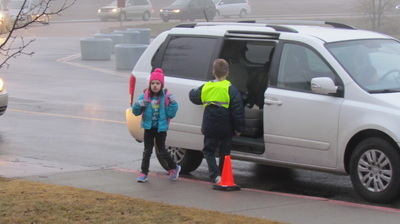 The student Safety Patrol assists the morning drop-off. 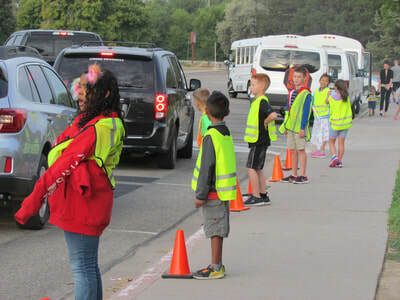 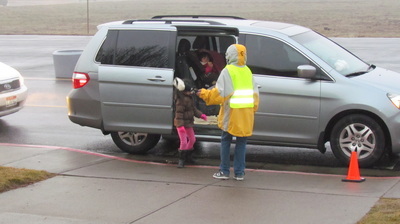 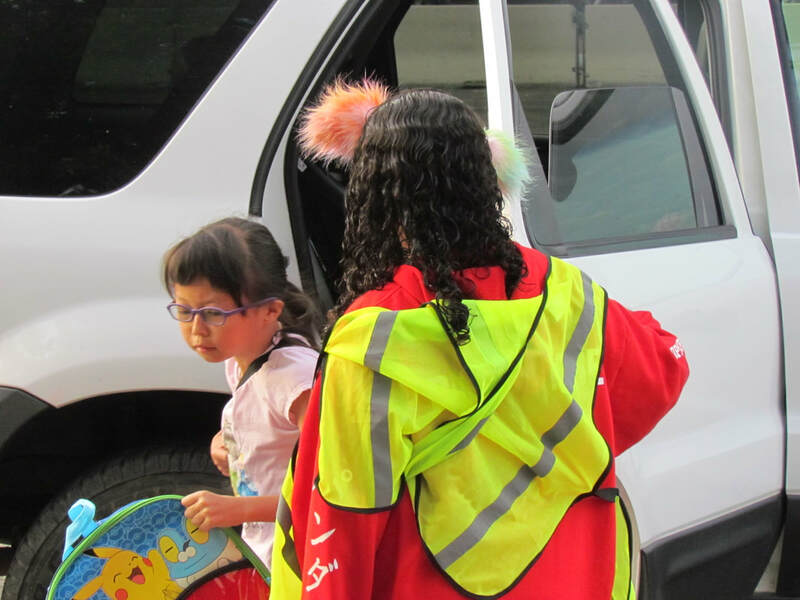 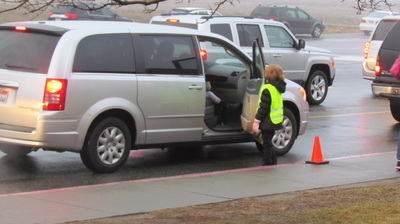 Having the Safety Patrol help unload students allows parents to be able to safely drop-off kids without having to get out of their cars themselves. 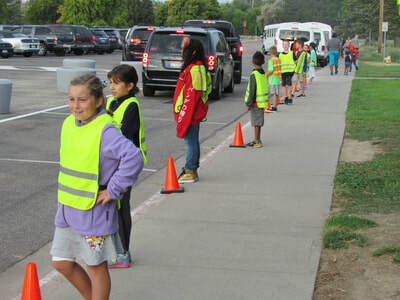 This assistance decreases drop-off time and congestion; as well as increases student safety.